Many online daters have received the baffling verdict of “no chemistry” from someone they’ve never met in real life. God bless people for trying to soften the blow when what they really mean is that they don’t like the look of someone. But dismissing a potential date at first glance isn’t a smart move for anyone looking for love – or passion! For most of us, attraction is something we only discover when we meet someone in person, and it often has precious little to do with looks. Think about it. I’m sure we all know people who weren’t even a blip on our radar to start with, but who became incredibly attractive once we got to know them, thanks to their confidence, manner, humour and warmth. Likewise, we all know people who are extremely good-looking, yet don’t float our boat at all – maybe they come across as cold or negative or uninteresting, or that indefinable spark is simply missing. One of the problems with internet dating is that, with so little information to go on – and a seemingly endless supply of candidates to consider – looks inevitably become more significant. We find ourselves ruling out people on a whim. It’s to be expected to an extent – after all, we have to narrow down the possibilities somehow. However, during my time online, I learnt that photos were a surprisingly weak indicator of how I’d feel about someone in real life. I met men who were undeniably handsome, but in person they left me flatlining. I also met men who, based on looks alone, I wouldn’t pick out of a crowd of one – and was taken aback by how attractive they were in real life, especially if I got to know them over a period of time. I ended up in a relationship with a man who wouldn’t have made much impact on me in a photo, but in person, the attraction was instant – the full fireworks! Of course, looks will always play a part in attraction, but not as much as we might expect. Dismissing someone on the strength of a photo is a great way to miss out on meeting a lovely Christian who might just rock your world. So next time you’re tempted to say “Thanks but no thanks” because someone’s picture leaves you cold, think again. Read their profile, engage in some chat and perhaps take a chance on meeting up. You might be surprised to discover who lights your fire! Do you make snap judgements on looks alone? 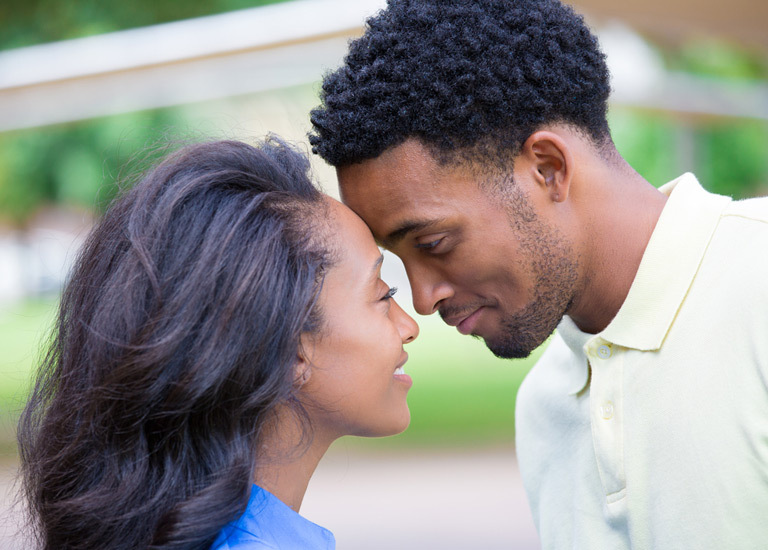 Have you been surprised by levels of attraction (or not) in person? Share your stories!